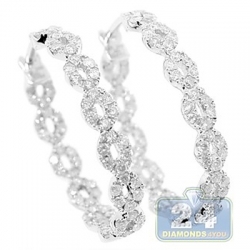 Dazzling and striking, these diamond oval hoop earrings feature open circle design! 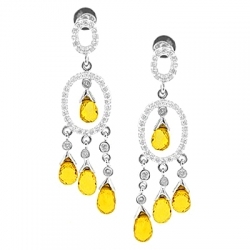 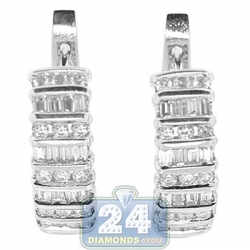 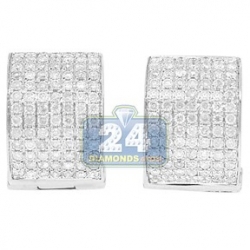 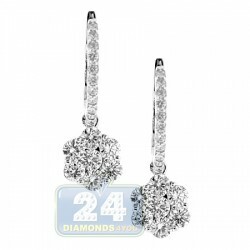 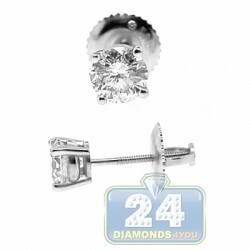 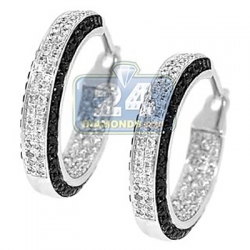 Professionally created from 14 karat white gold, they have highly polished shimmering finish. 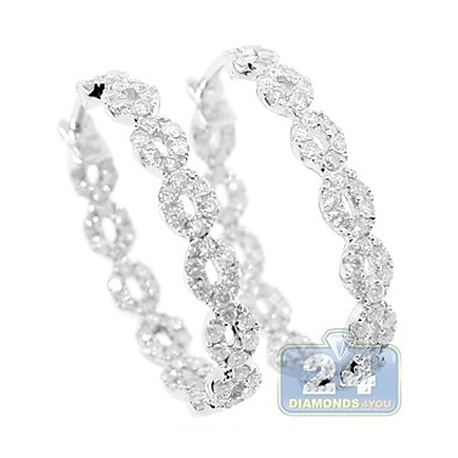 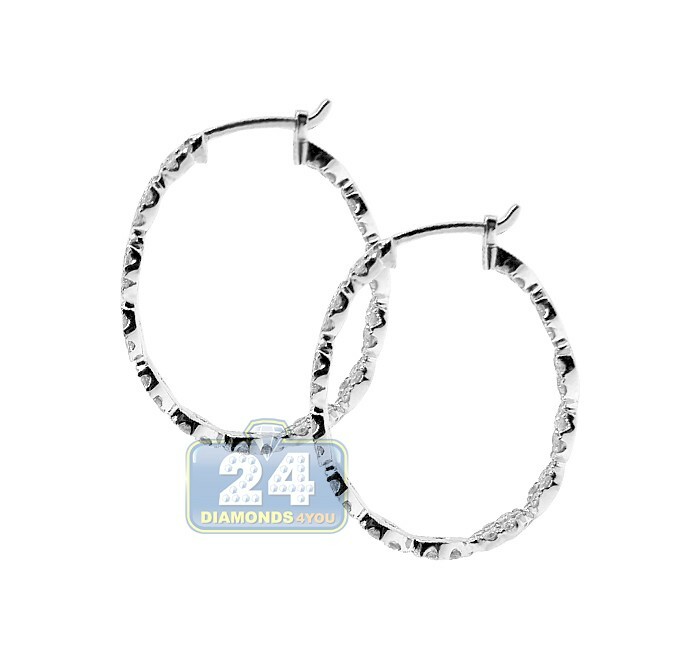 Our women's oval hoops are encrusted with icy white round brilliant-cut genuine diamonds, all weighting 1.60 carat, SI1-SI2 clarity, G-H color. 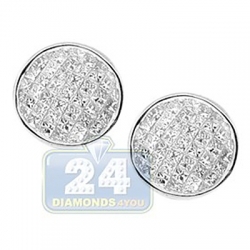 They also measure 27 mm in height and 4 mm in width. 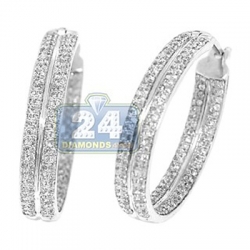 Secure backing and a luxurious captivating look!